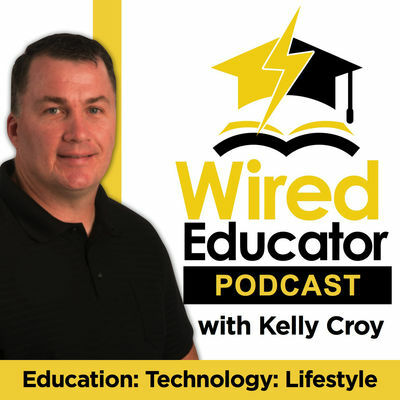 I strongly recommend this podcast by fellow ADE Kelly Croy. Kelly is an ADE from Oak Harbour, Ohio and teaches in Middle School. He is also a Keynote Speaker on art and education and published author. I had the privilege of talking to Kelly on Global ADE Institutes and the guy is truly inspiring. Kelly has the ability to find the right people for his podcast and ask the right questions. It is always a delight hearing his interviews. On a personal level, it is also very pleasant for me to listen to this podcast since Kelly picks a lot of friends from the ADE community to interview. We don’t get a lot of opportunities to see each other, so this series sort of gets us back in touch.